Misaligned with reality is the belief that New Mexico, one of the fifty states that comprise the United States of America, is part of the country of Mexico. Yet this bizarre legacy of poor high school geography education persists. A reputable New York accounting firm once prepared my mother’s income tax statements. They then mailed copies of these tax returns to her for review. Unfortunately, they sent them not to New Mexico, USA, but to – Mexico. The country. Days later the envelope was returned. The monthly magazine New Mexico has a column titled, ‘One of Our 50 is Missing,’ which details these stories, which are legion. For example, residents of New Mexico routinely phone Washington DC regarding a job they may have applied for, only to be told, ‘we only accept applications from the United States’ before the phone hangs up. The long, rich, and varied history of New Mexico gives its residents a full sense of pride and identity. They don’t care what others think, and laugh when others believe they are a different country. Even though all 50 states of the United States produce their own wines, many winemakers in several states, or regions of these states, are undecided as to which grape suits them best. The Napa Valley of California has Cabernet Sauvignon, while Missouri has Norton. The Finger Lakes region of New York has Riesling. But what about northern New Mexico? Driving from Santa Fe to Taos this afternoon, I saw a sign that made me jam on the brakes, pull over, and park in a gravel lot. 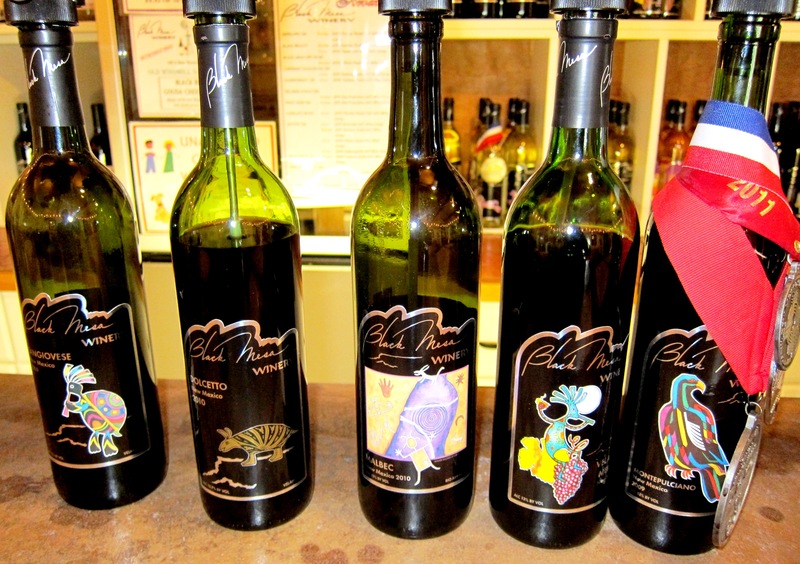 The sign read: Black Mesa Winery. I parked, walked inside and soon talked to the owner, Jerry Burd. 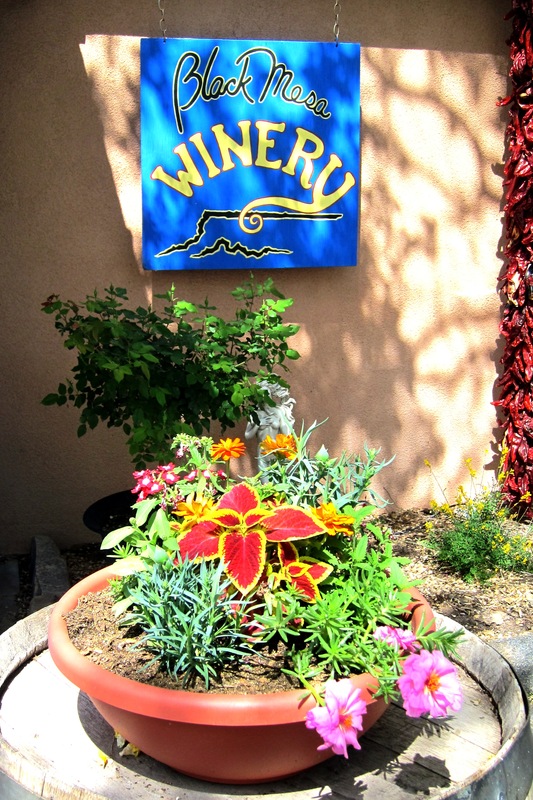 Jerry took over the winery in the year 2000, and has more than doubled the wines produced to thirty – including Chardonnay, Sangiovese, Pinot Noir, Petite Sirah, and Zinfandel. “There’s the creativity, the getting dirty, the chemistry, and the magic that keeps you humble. 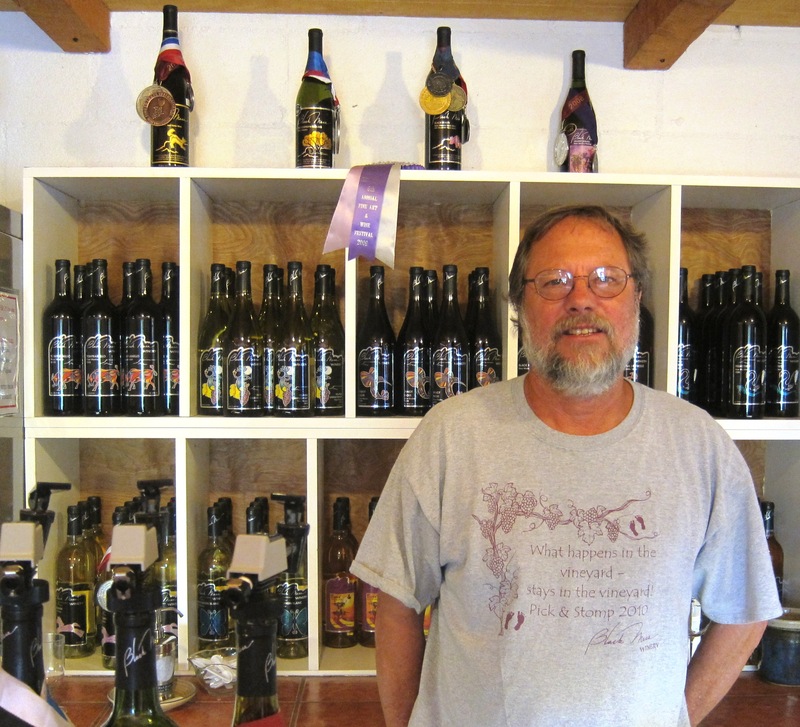 “I bought bottling machinery, and now also bottle for four other wineries around here. I guess the challenge is producing a consistent wine in such a fashion that it’s better every year. The greatest competition is myself. I’m the competition, and I’m the biggest challenge. 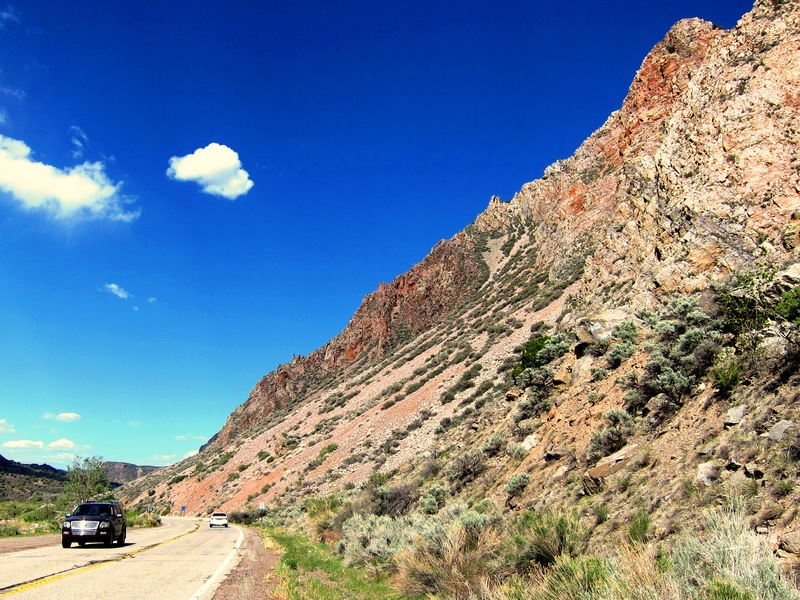 “This Velarde Valley connects to Espanola along the Rio Grande River. We see the potential for more wineries and a lot more grapes. We’re fortunate being between Santa Fe and Taos, because they both have so many tourists. Our future is here. I sampled a Viognier (which won three gold medals in a Napa Valley competition last year – two for the wine, and one for the label produced by Jerry’s wife, Lynda), and a Sauvignon Blanc that smacked deliciously of grapefruit. Nice job, spouse. We make quite the team. After that I sampled a Tempranillo, and a Syrah. Both were peppery, and the Syrah was smooth enough to make me think I might be in California’s Central Valley instead of New Mexico. 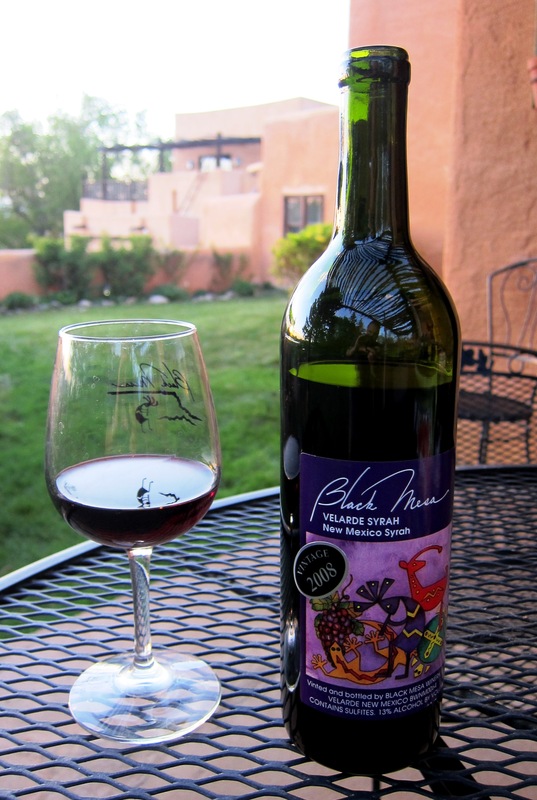 Although northern New Mexico has yet to find its wine identity, the people of New Mexico know theirs. Much of the rest of the country has yet to learn that New Mexico is a member of their family…filled with magic. ← Moving on from Davis? Nice to hear that the two form a powerful pair. I love the shadow in the glass. He’s diving head first into the wine. Looks yummy. Wow! 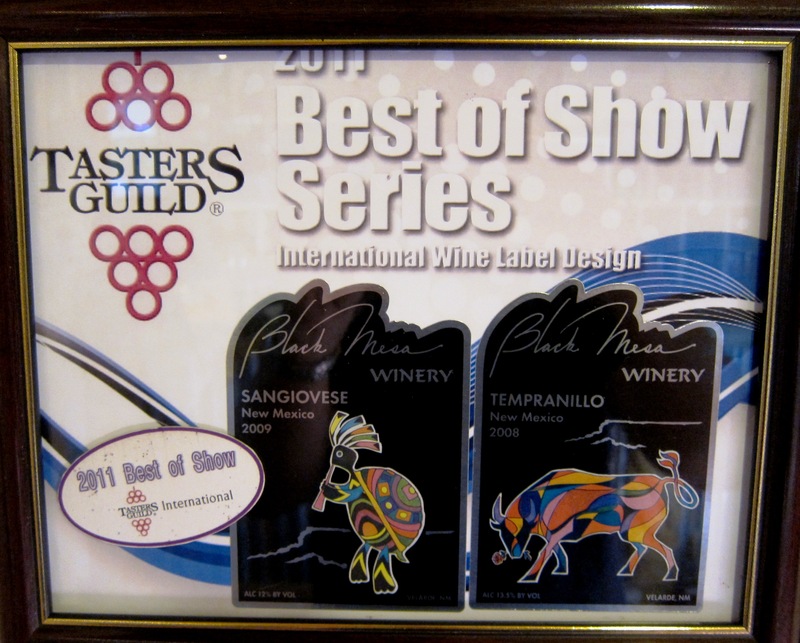 Guess we better add a few more NM wines to our repertoire! Great photos!